Hi, everyone! I FINISHED MY DISSERTATION, so I’m back to update the site as regularly as possible. What a weight off! I defend my dissertation next Tuesday, so please send some good vibes that afternoon. If all goes successfully, you’ll be able to call your webinatrix “Doctor” around 3pm EST. If you need a holiday/Christmas/Hanukkah/New Year gift for your favorite knitters (or, let’s be real here – you’ll need some of these for yourself! ), then you’ll need to head over to Knitted Bliss and check out Julie’s curated list. 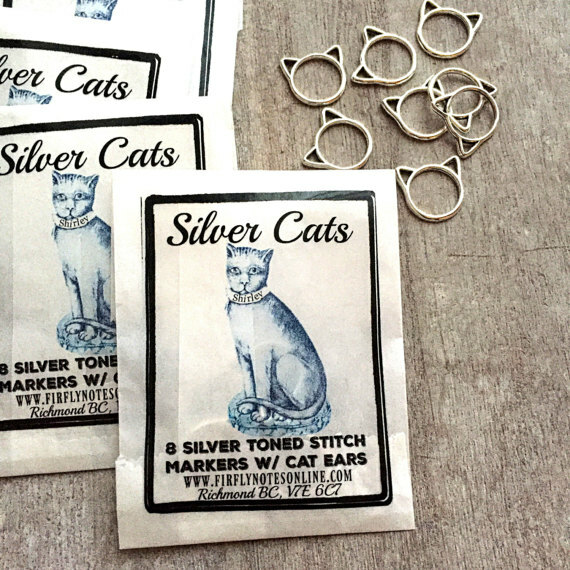 I’m absolutely in love with these cat ear stitch markers!